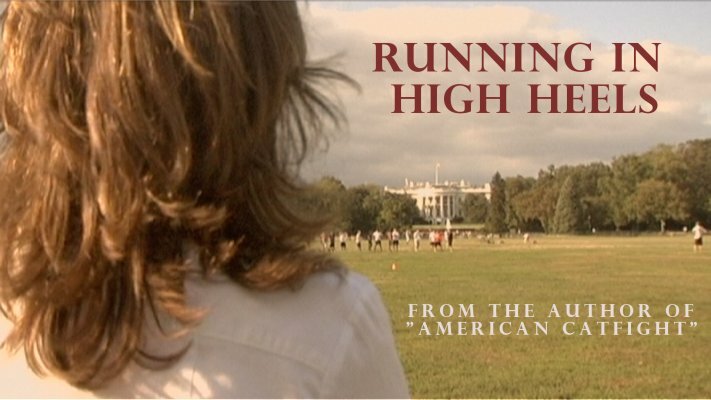 In this 2006 documentary, filmmaker Maryann Manelski follows a young Republican woman in a difficult bid to win a State Senate seat in New York City. Through the narrative and various interviews framing the story, the film reveals how various women think about each other and navigate the system and how women got where they are today. Running in High Heels from Elm Films. Before films such as “Miss Representation” and books such as Sheryl Sandburg’s “Lean In,” there was Running in High Heels. The film follows the narrative of Emily Csendes, a local candidate running for New York State Senate. As a young candidate in her 20s, Emily embarks on a journey alternately humorous and exasperating in the context of women’s struggles to access equal opportunity. Intercut with Emily’s story are interviews and commentary by notable women from the right and left of America’s political spectrum, ranging from Phyllis Schlafly, conservative stalwart, to Ellie Smeal of the Feminist Majority to Rosalind Wiseman, whose work on the psychological warfare and unwritten social rules with which girls (and women) deal was the basis for the movie “Mean Girls”. Through their debates they illustrate the various needs for a healthy democracy to not only have women participate but to lead.